As you will see below, drug spending is not “skyrocketing” or “soaring.” All payer types experienced extremely low growth in pharmacy benefit spending. Average net (post-rebate) drug costs declined. These data also shed light on specialty drug spending. Greater use of specialty medications—not cost increases—was the most significant driver of spending. The latest Express Scripts data confirm the cost and spending slowdown that I have highlighted in previous Drug Channels articles. I’ll ask again: Can someone please alert the media and our elected officials? Meanwhile, the report dodges crucial questions about the effect on patients. Overall drug spending is growing very slowly—but the sickest Americans are stuck paying ever-higher out-of-pocket costs for drugs with net prices that are flat or declining. That's worse than getting an empty box of chocolates for Valentine's Day. 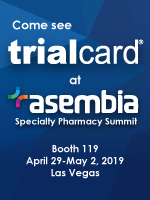 For Express Scripts’ commercial plan sponsor clients, the overall weighted average increase in spending was only 0.4%. Spending on specialty drugs grew by 9.4%, while spending on traditional drugs dropped by -5.8%. Check out the chart below. You don’t have to be a rocket surgeon to detect the downward trend since 2014. That year, spending spiked upwards due to the use of new drugs that cured hepatitis C. (Yes, cure.) Since then, a major slowdown has occurred in drug spending growth. Yes, I realize that this finding should be familiar to anyone who has been paying attention. These data also echo the numbers from the government’s National Health Expenditures accounts. See CMS Confirms It (Again): Minimal Drug Spending Growth, While Hospital and Physician Spending Keep Going. The chart above shows only commercial payers. But for other payer types (Medicare and health exchanges), overall drug spending growth was below 2% or negative. Recently I've been hearing some version of the argument that slow growth in U.S. drug prices is no big deal. But drug spending is now growing much more slowly than every other part of U.S. healthcare. Critics of the pharmaceutical industry seem willfully blind to the major spending factors—hospitals and physician services—that make our healthcare system more expensive than all other countries. Growth in spending comprises both prescription utilization and the net, post-rebate cost of drugs. Understanding the mix of cost and quantity is crucial to understanding what drives drug spending. Unfortunately, many journalists and politicians conflate the two effects. Change in unit cost—the rate of change in costs due to inflation, discounts, drug mix, and member cost share. Costs are net of rebates received by plans, so they reflect net (not list) prices paid by third-party payers. Note that the cost figures include (1) pharmacy dispensing margins, and (2) PBM network spreads. Change in utilization—the rate of change in total days’ supply of medication per member, across prescriptions. As you can see, growth in utilization far outstripped growth in costs for all three payers. The specialty drug story is more complex. 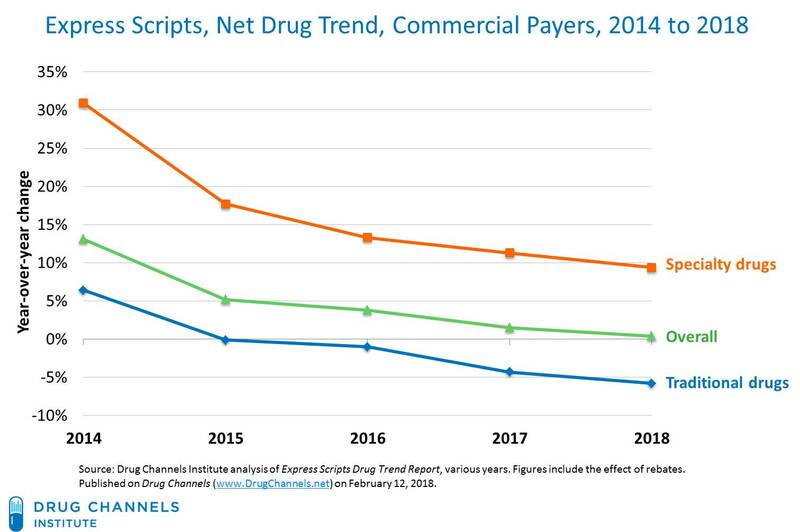 The chart below summarizes the specialty drug results for three different types of third-party payers: commercial, Medicare, and health insurance exchanges. 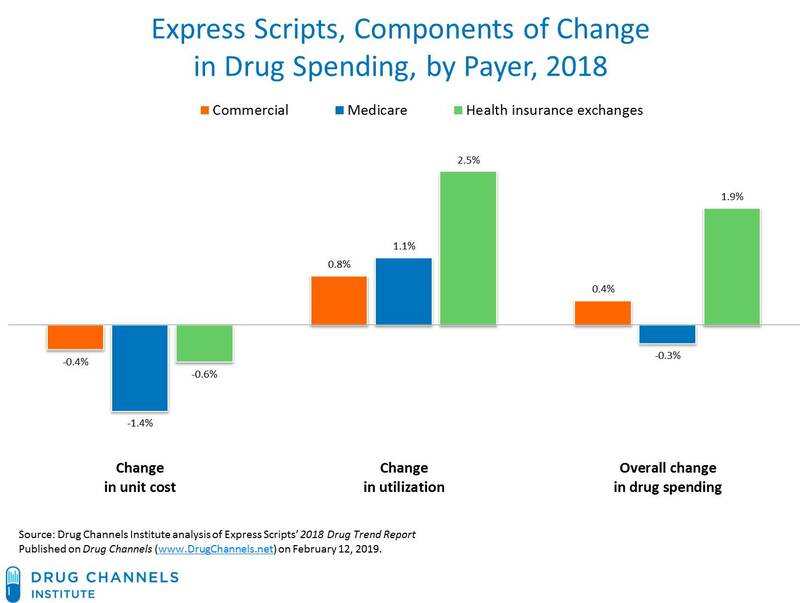 For each payer type, the sum of the change in unit cost and the change in utilization corresponds to the change in drug spending. For all three payers, increases in unit costs accounted for less than one-third of the growth in spending. 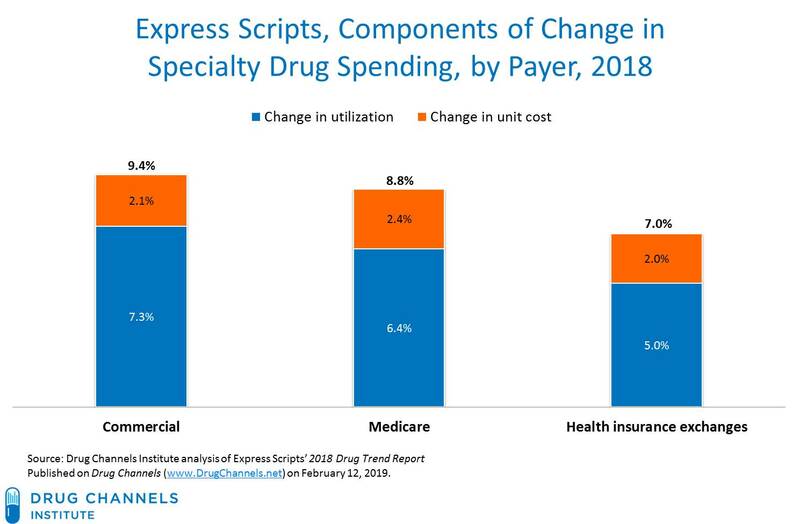 For instance, the 7.3% utilization increase accounted for nearly 80% of the 9.4% increase in specialty drug spending for Express Scripts’ commercial clients. Translation: it's not just prices. Express Scripts touts that the “average per 30-day Rx paid by patients” grew by just 6 cents in 2018. But that figure obscures today’s bifurcation in out-of-pocket spending. Most people incur relatively small out-of-pocket costs for their prescriptions, but some people must spend a lot. 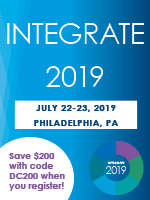 After reading this latest drug trend report, I’m still waiting for answers to my questions: How much of manufacturers’ rebates and discounts are being shared with patients? Is it fair for an insurance company to get a big rebate on a drug for which the patient paid full retail price? Why don’t more plans pass drug savings on to their highest-paying, most vulnerable customers? 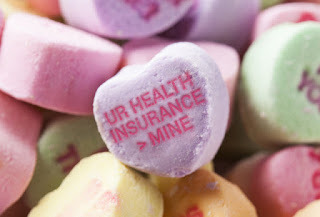 Alas, I suspect that getting answers will be harder than finding Sweethearts candy.